The discovery of solar energy is not the result of a single event, but it’s rather more of a concept that progressed over the years. It simply started by noticing that the sun has its own energy and heat, to learning how to harness that energy efficiently for our own purposes. Today the massive potential of solar energy allows us to do many things. Such as powering our homes, economies, and our human development all around the world for a more sustainable future. Solar panels can generate electricity without any waste or emissions, or dependence on the Earth’s natural limited resources. They also have a long lifespan and no moving parts. In addition, they are relatively easy to install and are very low maintenance. Solar energy technologies as we know it today goes back to more than 60 years. In fact, the discoveries that led to the solar cell dates back 200 years; to the industrial revolution when solar energy was produced to heat water that created steam to drive machines. Wondering how solar cells came to be. We’ve provided a timeline of the historic milestone of the discoveries and inventions that led to the creation of this renewable energy. 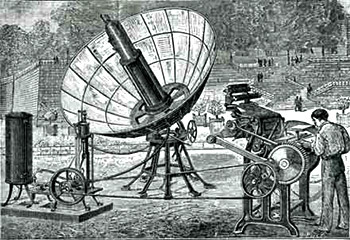 A Swiss physicist, Horace De Saussure, invented the first solar oven. A solar oven uses only the sunlight to heat food. 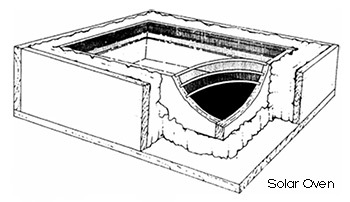 The oven was created with an insulated box that was covered with three glass layers that were used to concentrate the sun’s heat. Today’s solar ovens are cheap and popular solutions to prepare meals where access to electricity is limited. A French scientist, Edmond Becquerel, noticed the photovoltaic effect. Which shows how electricity can be harnessed from sunlight. He noticed that certain materials create electrical voltage when exposed to light. In fact, his discovery became the base of the solar power generators that we know today. An English engineer, Willoughby Smith, found photo-conductivity in solid selenium. In addition, it has the ability to produce solar energy. Meaning it becomes electrically active when it absorbs light. Building on Smith’s discovery; professor William Grylls Adams, with his scholar, Richard Evans Day, noticed the electrical current when a selenium plate got exposed to light. An American inventor, Charles Fritts, came up with ideas for how to make solar cells. He created a solar cell by covering selenium with a thin layer of gold. A German physicist, Heinrich Hertz, discovered the ability of ultraviolet rays to cause a spark of electricity to jump between two electrodes. Hertz found this procedure produced more power when introduced to ultraviolet light, rather than more fierce visible light. Today’s solar cells depend on the photoelectric effect to harness the sunlight and convert it to electricity. Albert Einstein formulated the photoelectric effect of light. Which describes how light can release electrons on a metal surface. In fact, 16 years later he earned the noble prize for his published papers. An English physicist, William J. Baileys, invented a copper collector of energy. Using insulated boxes and copper coils. A Polish scientist, Jan Czochralski, found the modern silica-based solar cells. He discovered a method to grow a single-crystal silicon cell. Calvin Fuller, David Chapin, and Gerald Pearson created the first silicon photovoltaic solar cell. These cells are able to produce enough electricity to power small electrical equipment. In other words, they created the first device that converts sunlight into electrical power. Western Electric made solar cells commercially available with its silicon photovoltaic technologies. But, the high costs of silicon solar cells kept it away from market widespread. Some of the earliest uses of solar technology were in outer space. 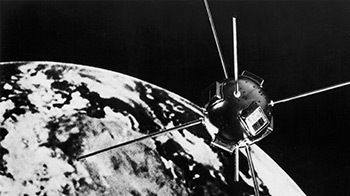 First used in satellites then used in space stations. Furthermore, solar energy gained support when the government used it to power space exploration equipment. Exxon Corporation funded a research to create solar cells made from cheaper silicon materials. As a result, solar cell manufacturing became more available at a lower cost and began to be used in a wide variety of applications. Arco Solar built the first solar power plant in California. It could generate 1000 kilowatts per hour when operating at full capacity. As a result, this could power a 100 kilowatt light bulb for 10 hours. Thomas Faludy filed a patent for a retractable RV solar panels. This was one of the first time solar cells were used in recreational vehicles. Today, solar panels are a popular way to power recreational vehicles. As technology and efficiency of solar cells have expanded, residential solar power has become more popular. Solar panels become more available each year. An increase in large-scale solar power plants were built around the world. Including the construction of the Golmud Solar Park in China that has a capacity of 200 megawatts. In addition to the Gujarat Solar Park in India that has a capacity of 605 megawatts. Special industrial printers can now produce solar cells as thin as paper. Each strip can produce up to 50 watts per square meter. Furthermore, these strips are flexible and inexpensive to produce with 20% more power efficiency. A team from the University of California and the Australian National University discovered new properties of nano-materials. Meaning that they discovered some materials that shine when exposed to heat. If combined with thermo-photovoltaic cells, it can convert heat into electricity without the need of the sun. Solar power is rapidly being applied to more uses in more industries and more places around the world. Now it became one of the most cost-effective and efficient sources of energy. In fact, nearly one million homes in the United States alone use solar power for their electricity. While humanity is working towards a low carbon future, solar energy is now very important for our future. Finally, scientists are continuously experimenting with new technologies. As a result, this can make solar panels more effective and boost their efficiency. New developments may potentially be able to capture sunlight more efficiently than existing photovoltaic cells. Furthermore, the advancements in storing solar energy are also being developed. As solar power technologies continue to improve, new solar cells made from simple materials will continue to become more efficient at lower costs. In conclusion, solar technology shows no signs of slowing down, if anything, it is advancing at an unexpected rate. Solar has a long list of meanings in today’s day and age. It spans various industries and contributes power to hundreds of different machines and technologies. Calculate your power needs and learn how much can solar energy save you money for your home. Take the chance and stay up to date to decide if solar power is the right thing for you or a fuel powered standby generator. 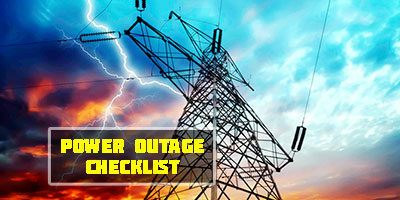 You can also take a look at our best portable generators or best inverter generators guides.